Online since 1998, 1001 Free Fonts has long been one of the go-to places online to get . However, don't be tricked by the name; the free font website 1001 Free Fonts has way more than just 1,001 free fonts available. There are actually over 2,000 pages full of several different fonts on each page. You can enter text at the top of the page so that you can scroll down and see how it looks when used with each font, which makes it a breeze to pick one you like. The first thing I noticed about 1001 Free Fonts is that the font previews are nice and large, meaning that I can quickly browse through the numerous pages of free fonts to find my next font. The previews are the perfect size for quick viewing - small enough there's still a good number of them on a page and large enough that they're easy to see with just a glance. You can browse at 1001 Free Fonts by viewing the fonts alphabetically or by category, as well as popularity and new fonts. There's also a search box if you're looking for a particular font. Some of the font categories include Disney, Groovy, Famous, Animal, Sans Serif, Ice Snow, Fantasy, Computer, Curly, Fancy, Western, Gothic, Handwriting, Decorative, Sci-Fi, Typewriter, Rounded, Square, Christmas, Bitmap Pixel, Animal, and Script. You can type in your own headline for a font at 1001 Free Fonts so you can see what the font will look like with different text. The preview can be any text you like, and you can set the font size and color from a large selection of color boxes. It's a nice large preview which makes it easy to see what a title would look like but with a limit of 20 characters for some fonts, you won't be able to see what a large chunk of text will look like. The majority of the fonts at 1001 Free Fonts are freely available, but a small percentage of them are shareware. Each font will specify whether it's free for personal use, public domain, or free for any use. You have the option to donate to the designer if you chose to do so. 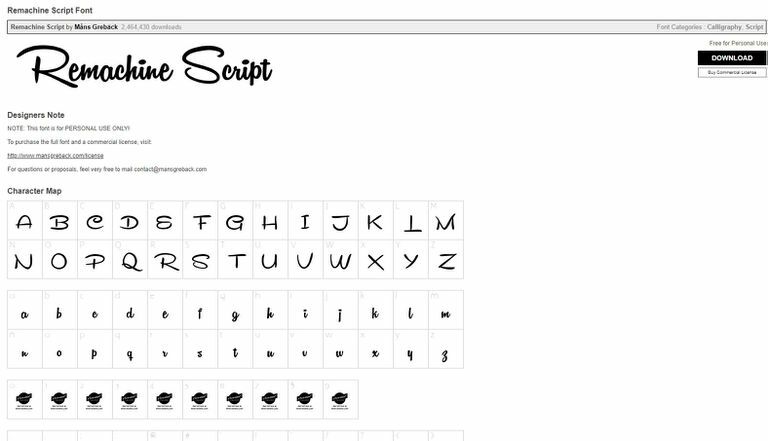 The page at 1001 Free Fonts lets anyone upload their own custom fonts to share with the world. They can choose a specific font license too, like Demo, Donationware, Free, Free for Personal Use, Public domain, or Shareware. Each of the free fonts available at 1001 Free Fonts can be downloaded for Windows or a Mac. They're downloaded as ZIP files, so you'll need to before you can install the fonts. If you like 1001 Free Fonts but you can't seem to find a font you want for a specific project, see my list of the for several other options. While some font websites might have the exact same fonts, there are definitely unique ones at each of those other websites from that list. Also, sometimes just a different website design makes it easier to find a font you like. Two examples of alternatives to 1001 Free Fonts include and .